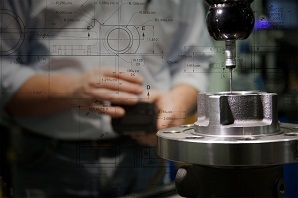 When it comes to CNC machining services, The Eagle Group’s experience is second to none. Every day Eagle CNC Technologies works closely with our three affiliated Eagle Group foundries to meet our customers’ needs. Our engineering teams routinely work with customers early in the design stages on larger, long-term projects, providing our expert machining and casting advice to ensure parts are designed for manufacturability (DFM). The outcome is a part that performs to the standards our customers require and is produced as cost effectively as possible. Our process is a great example of true value engineering (VE). Eagle Group utilizes Eagle CNC Technologies as our main provider of CNC machining services. Together, we are a full-service manufacturing firm that can help with everything from part and process design to supply chain management. You can add dollars to your bottom line by letting us do what we do best: precision machining, on your schedule. The Eagle Group utilizes Eagle CNC Technologies to offer involved project management services from start to finish. Our experienced staff routinely provides our customer with expert engineering services from the discovery and design stages into production to insure your parts are positioned to be manufactured as efficiently and cost effectively as possible. When developing new projects we work together every step of the way. Whether it’s providing details on ideal datum points, noting where material should be added or removed, identifying proper gating and parting line locations or providing custom fixture and process design, we’ve got you covered. Our materials handling department can source your material for you, saving you valuable time and money. Whether you already know what you need, or seek experienced advice, we can work with our existing network of certified suppliers to find the best possible solution. After a source has been selected we work with you to provide material on your terms. Regardless of whether you want us to handle the purchasing, or prefer providing material on consignment, we can help facilitate the procurement process. Our engineering department has years of experience in part and process design and maintains state of the art software to ensure that we always deliver a superior solution custom tailored to you needs. Our Quality Control department goes the extra mile to ensure our production processes always produce parts that meet our customers demands. Like our machine tools, the inspection equipment and software we employ ensures every advantage is realized. One of the key elements in giving us that leg up on our competition is the utilization of SPC software at nearly all of our work centers. The result is instant access to inspection data, unprecedented insight into dimensionals and, most importantly, automated and real time communication from the shop floor. Combine that with our cutting edge measuring technology and our years of experience, and you have some serious control over production. Eagle CNC Technologies prides it’s self on its extensive milling capabilities. With our 10 palletized milling centers we have the equipment necessary to machine precision parts in a wide range of sizes and in all quantities with minimal setup costs. Our CNC turning capability can produce parts up to 30″ in diameter by 15″ long weighing up to 500lbs.